Civil Aviation : Nationalism or Economic Benefits? 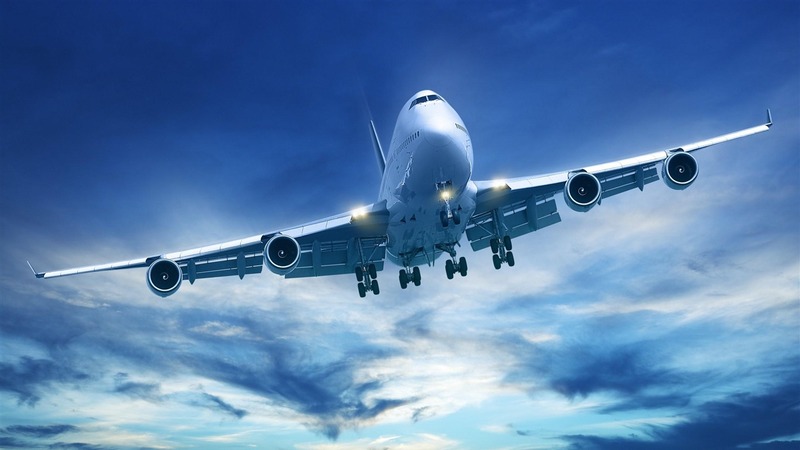 Civil aviation is one of the major carriers of economic globalization; it helps businesses to cross national boundaries; it reduces the time for traveling and it fuels migration. In other words, civil aviation brings speed and connectivity into human life. Despite today’s trend toward global markets, free trade, the internet and the economic integration of entire continents , this technology- intensive industry remains encumbered by rules that stifle competition and prevent airlines, communities, passengers and shippers from benefiting to the fullest. Jonsson argues that the aviation industry differs from most business involving services or commodities by directly engaging the national security interests, the sovereignty, and the prestige of almost all countries of the world. International aviation is thus not just another problem in a changing economic system, though it is that; international civil aviation is a serious problem in international relations, affecting the way governments view one another, the way individual citizens view their own and foreign countries. Jonsson in his paper Sphere of flying:the politics of international aviation, argues that state security, national defense and foreign policy all three are correlated with this protective industry. Civil aviation does not hold the characteristics of a normal industry. Therefore, airlines are often subsidized to avoid their exit from the market, and conversely, entry of new would be competitors is restricted, or at least, there are difficult obstacles to overcome such as ack of airport landing and take-off slots. Fares, frequencies, capacity and the right to pick up passengers are not normally regulated. As well as over wholly desirable matters, such as air traffic control, safety and technical standards, there are successive tiers of government regulation: over domestic operators, over foreign operators in the domestic market; over international operators between two states; over intermediate stops in third countries; over computer reservation system (CRSs); and over foreign ownership of domestic airlines. In detail, the airline industry possesses strict restriction on foreign ownership and control from reaping the benefits and efficiencies of drawing on international capital that other industries are able to exploit. It means the biggest market in civil aviation is highly protected. These existing features of aviation industry simply do not reflect the characteristic of a true model of a globalize industry. One need to keep in mind that, major characteristics of globalization is that an American company like Nike is able to invest worldwide and control the regional offices or an Asian company like HSBC may become a prominent brand worldwide. These flows of multidimensional investment is absent in the civil aviation industry. The bilateral air service agreements (ASAs) that continue to govern much of world trade in aviation often frustrate market growth, force users to pay a price premium and create a series of vested interest. These ASAs are a total contradiction of the idea of a truly globalize industry because of its nature. To be precise, this is the main constraint of establishing a globalized civil aviation industry as Chang and Hsu argue that, ‘nationality clauses lie at the heart of bilateral Air Service Agreements (ASAs)…without them the value of such agreements is questionable.’ ASAs govern all country-to-country commercial air contact. Originally the details included in ASA features: routes served frequencies, passenger capacities and even fares. These bilaterals are not equal all the time and these are tools to exploit weaker countries. Which means USA is not conducting the same type of ASA with Bangladesh and with the UK or with Australia. This imbalance in the ASA has fostered a “comfortable status quo,” in which the wide but diffuse benefits of air liberalization are subordinated to the interests of the minority. A report finds that liberalising only 320 bilateral agreements of the existing thousands would create 24.1 million full-time jobs and generate an additional $490 billion in GDP, which corresponds to an economy almost the size of Brazil. However, not many countries are eager to reform civil aviation industry. An examination of 190 countries and 2000 bilateral ASA suggests that there are still a number of countries that place a priority on protecting their flag carriers(s), rather than enhancing the overall welfare of the broader public interest. This mindset reflects traditional approach to the national carriers. As a result, five major alliances (Star, Oneworld,Qualifyer,SKY Team and Wings) accounts for some 60 percent of all air travel. In simple sense different alliances means presence of different blocks in an industry. On the other hand, regulation guarantees that the external benefits of civil aviation are not jeopardized. However amid these regulations, growth of the global civil aviation industry is very encouraging. Especially, the technological boom following the Second World War shaped this industry into a prosperous industry and it still is growing at a phenomenal rate. According to a recent report, presently 1.83 billion passengers fly nearly 3.3 trillion RPKs (revenue per kilometres).The same report says that the aviation industry employs 1.77 million people directly.21 The industry forecast is also very lucrative. A forecast of the Boeing,states that the market value (passenger and freight) of aviation industry would be $2.6 trillion in the next 20 years. The report forecasts that the number of total fleet aircraft will increase to 35970 by 2025 which was 17330 in 2005. It also says that the growing world economy, world trade and airline competition will generate passenger traffic growth of 4.9 percent and freight growth of 6.1 percent in next 20 years. These facts and figures demonstrate that civil aviation industry is a promising sector. Relaxing the restriction will not only help this industry but also will widen its potential. *Mubashar Hasan is a Doctoral candidate at the School of Government and International Relations, Griffith University, Australia. This is author’s personal view. Yu-Chun Chang and Chia-Jui Hsu, Open Skies or Open Aviation Area? Prospects for the Aviation Relations between the EU and the USA, Aerlines Magazine e-zine edition, Issue 34, 20/02/07. French Identity, Globalisation & Unemployment – Gloomy Prospects For The French?